When Lyft went public on the last trading day of March, investors learned the firm has staked its future to the street-level adoption of autonomous vehicles. Aside from the legal and ethical concerns, social anxieties and scandals, driverless cars still have major technology hurdles to clear: they are dependent on a future that successfully employs artificial intelligence (AI) technology. AI algorithms, like any other software application, run on semiconductors. Since the launch of the first commercial semiconductor by Intel in 1971, what we have come to know as the tiny brain in our phones has spawned a knowledge revolution that has altered society, not to mention business in every sector and geography. Academics call this a General Purpose Technology, and the semiconductor is the General Purpose Technology of our time. The last two were the steam engine and electricity, and they spawned the first and second industrial revolutions. Making semiconductors is the most advanced manufacturing process in the world. Which is why firms like Cadence and Synopsys – who build software used by engineers to design chips – are so critical to the pace of development in the semiconductor industry. 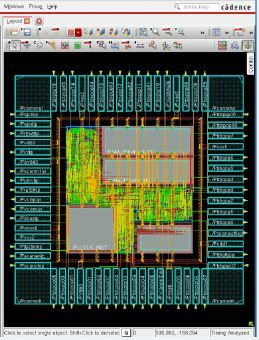 Semiconductor makers can’t build new features into chips until Cadence builds them into the design. Think of semiconductor manufacturers as the homebuilders and Cadence as the blueprint maker: until Cadence adds AI features to the blueprints, Intel, AMD and NVIDIA can’t build AI features into the chips. 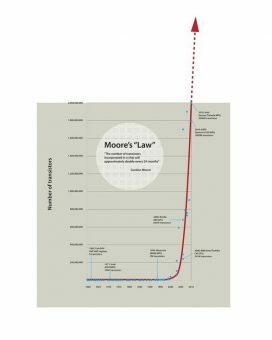 In this sense, Moore’s Law begins with companies like Cadence and Synopsys, two American firms on the front line of the US technological advantage. No wonder they spend so much on R&D. In our work measuring innovation in every sector and geography, Cadence and Synopsys hold two of the top four spots for R&D investment as a percent of sales in the entire world. In this analysis, we spotlight Cadence, the most knowledge intensive at a whopping 41% of R&D as a percent of sales. For context, Synopsys spent 35%, AMD 22%, NVIDIA 20% and Intel 19%. Cadence spends twice as much on R&D as the semiconductor makers themselves. In a recent presentation, Cadence identified key technology waves propelling the data-driven economy: mobile, automotive, machine learning, data center and edge computing. According to Cadence, the firm has thousands of customers globally, including all of the top semiconductor companies. In addition to its work integrating AI, the firm launched more than 20 significant new products in the last three years including the Cadence Cloud, the first broad portfolio of cloud-based electronic design automation technologies. Cadence identifies tight partnerships with top customers and ecosystem players as key to future success. As of 3/31/19, Synopsys, Intel and NVIDIA were held in the Knowledge Leaders Strategy and Cadence, AMD and Lyft were not. Intangible-adjusted data for Cadence and Synopsys as of 2/28/19 and 4/12/19 for AMD, NVIDIA and Intel. Source: Knowledge Leaders Capital and Factset.